Thanks again for a fun day of fishing. The 20 or so trout we caught in the morning certainly started the day off right and that nice Red that you helped my brother catch simply made his day! 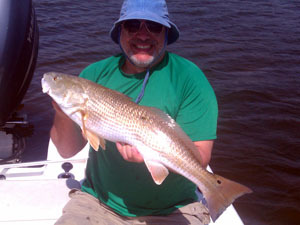 Really enjoyed fishing with you and you can bet we’ll be back next year, hopefully for some big Reds again next time!